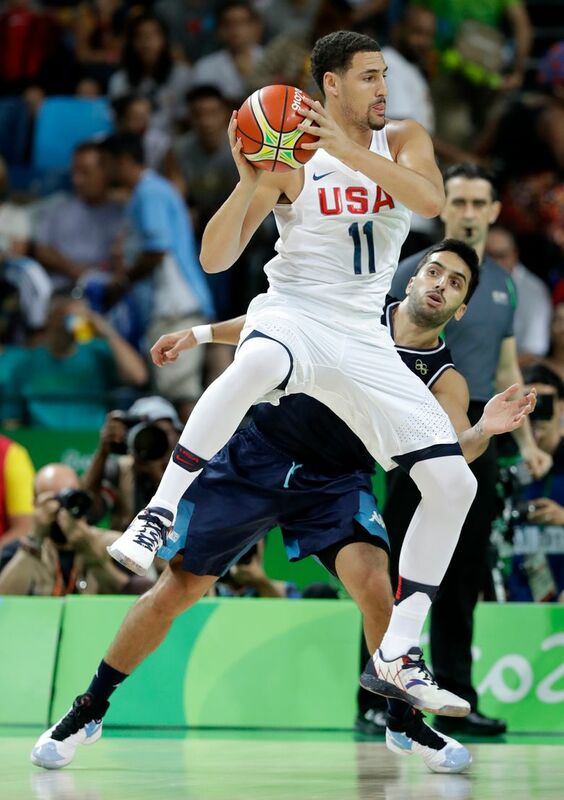 Kevin Durant scores 27 points as Americans reach semifinals, where they will play Spain. RIO DE JANEIRO — As Kevin Durant was alone in his room Wednesday, he decided to approach Team USA’s game against Argentina in an unorthodox way. He simply stopped caring whether the U.S. won later that night. It sounded almost rebellious, but it provided a glimpse into the psyche of one of the world’s best basketball players. Whether you want to deem his thinking twisted logic, selfishness or utter brilliance, it worked. Durant played his best game of the Olympics – 27 points on 9-of-13 shooting — and the U.S. in turn played its most complete game with a 105-78 victory and advanced to Friday’s semifinals against Spain. For once, a U.S. game was more festive than anxious, a welcome departure for the U.S. from its last three contests when the Americans’ looked mortal and fears of an upset grew. By the end, DeMar DeRozan was practicing his 360 dunks, celebrating abounded on the U.S. bench and the Argentine fans in the crowd were more concerned with singing a song to taunt the Brazilian fans in attendance than they were with what was happening on the court. George and Butler handled the defense Wednesday, Lowry made sure the ball kept moving on offense, and Durant, whether he cared or not, was the main reason the U.S. won. • Before going their separate ways, Tony Parker and Paul Gasol met near midcourt and the new teammates shared a warm embrace following Spain’s lopsided win. They’ll soon be together in San Antonio to chase an NBA title. They’ll never meet again in the Olympics. Nearly written off after two losses to open the Rio Games, Spain is back in the men’s basketball semifinals for the third straight time after a 92-67 rout of Parker and France. The Spaniards got easy looks at the basket and dissected a French team that came to Brazil with medal hopes but leaves empty-handed. After the loss, a nostalgic Parker, the dazzling point guard who made France relevant on international hardwood, said he would no longer play for his home country.